We are a removals company based in Brixworth, Northamptonshire. 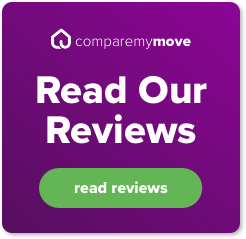 We cover both domestic and commercial moves in and out of Northamptonshire and the surrounding areas, as well as both national and international moves. Our removal services are available to everyone, whether you require home removals or are moving your business into new premises. With our removals, we aim to take the stress and hassle out of a move for our customers, we will handle everything from start to finish, ensuring a smooth process throughout. As part of our removals package, we also supply a specialised packing service. We understand how valuable your possessions may be, so we have expert packers, that will be able to protectively pack your items, ensuring their safety during transit. We have experience packing everything from fine art to large antiques, such as pianos. An additional service we offer is light haulage. We are able to offer reliable, same day deliveries for items of various sizes, whether it be a single item or a pallet. As part of our haulage offering, we can also aid with your online shopping, as we offer a delivery and collection service for items purchased or sold on popular websites such as eBay and Gumtree. In addition to our many other services, we also offer storage solutions for both short and long term requirements, for items of any size. Furthermore, if you are in the process of moving and have yet to move into your new premises, we can temporarily store your items safely and securely, until you are ready to have them moved into your new place. If you require any of our services or need to ask a question about anything, feel free to get in touch via our contact form or alternatively give us a call on 01604 881 648. We can move you from these locations to anywhere nationally and internationally!